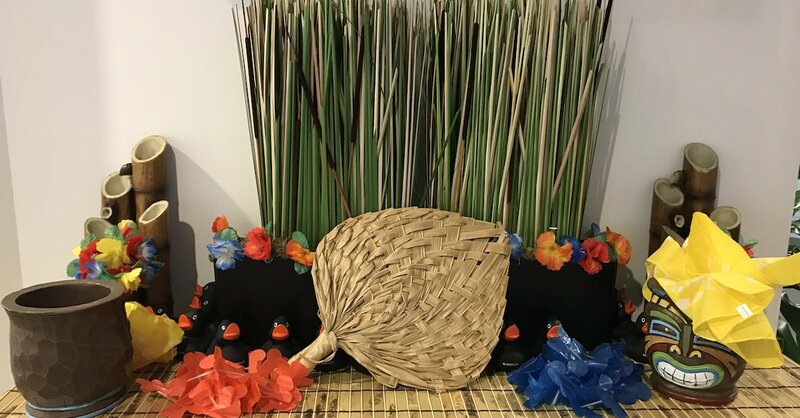 If you walked into our Synopsys office here in Burlington, MA, you’d be transported to a tropical paradise that sets the mood of summer and fun. This is because we recently had our Hawaiian Shirt Wednesday Tiki Party, which even included a Steel Drummer for our lunch time entertainment. Now imagine being a new hire who’s here for training at our Burlington office and experiencing this amazing culture for an entire week until they return to their regional office location. Our office sets the bar high for culture here at Synopsys, and with a growing company and expanding locations, we have to make sure that when our employees return to their own offices they have a similar environment. We currently have office locations in Vancouver, Theale, Belfast, San Jose, and Japan… while I am full-time here in Massachusetts. All of these offices have culture events and amenities — and it’s all done without me ever visiting a single one. Sounds impossible, but I can happily say it has been anything but! Our Culture department consists of Timothy Kenny, VP of Culture, and me, culture coordinator; maintaining a consistent culture in all our offices seems impossible for just two people, but that is what makes our company culture and our employees so unique: we have volunteer Culture Ambassadors at every office location! On top of their daily work load, we have amazing employees who are so passionate about our company and culture that they choose to take on the culture enablement role as well. Burlington has about 280 employees in the office and our regional offices have between 15 and 40 people in their offices, so each location has a different energy and culture needs. For instance, our Vancouver office has engineers and researchers, so having music playing and the sounds of bouncing basketballs is not a culture amenity for them. This is where our amazing team of Culture Ambassadors are key: they are my eyes and ears for offices I have never worked in. I do a weekly call or e-mail with each ambassador to go over ideas, upcoming events, or cultural needs in the office. My job is to work with the Culture Ambassadors to enable their own creativity for culture. This allows for our company to be a community rather than individual offices feeling that they may not be as important. I recently wrote about creating a culture that gives back to the local community and the new Corporate Social Responsibility (CSR) program we established. Having a CSR program here in Burlington was a first this year, but we set the bar high and proved how crucial the Culture Ambassadors are by rolling this program out in all of our regional offices as well. On July 18th, we’re attempting the unthinkable by having a company-wide Synopsys day of giving and an outing. I have worked closely with each office’s Culture Ambassador to put together a morning of giving followed by an afternoon of fun! Each Ambassador was given the freedom to organize their own fun afternoon activity based on their office environment and location. When you have a culture that people are passionate about and will volunteer their time to ensure their own office locations and coworkers enjoy it, you have a culture where anything is possible. Synopsys culture team has proved that no office need be left behind.